Adventure game specialist Telltale Games has announced the launch date for the first episode of Tales from the Borderlands, and you won't have to wait long at all. For the Xbox One, the first episode, Zer0 Sum, will be available in the UK from 26 November. It then comes to PlayStation 4, PlayStation 3 and Xbox 360 on 3 December. Four more episodes are planned. 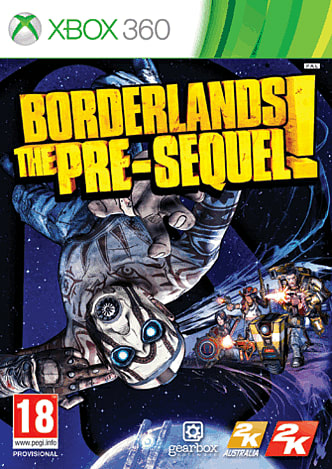 The game is an adventure game sequel to Gearbox's beloved co-op RPG shooter Borderlands 2, and has two playable characters. It features the vocal talents of Troy Baker as Rhys, Laura Bailey as Fiona, Chris Hardwick as Vaughn, Erin Yvette as Sasha, Patrick Warburton as Vasquez, and Dameon Clarke as Handsome Jack. It's going to be a busy end to 2014 for Telltale. The developer, best known for The Walking Dead, has also confirmed that the first episode of its Game of Thrones series will also launch in December, though an exact date has yet to be confirmed.